Social media - popular sites such as Facebook, Twitter, LinkedIn, Pinterest and others have shown to be a great opportunity to connect to your target market. When creating your blog make sure the link is shared in social media on pages and sites that appeal to your target audience. Online Trade Magazines - every industry has a trade publication of some sort. Often there are opportunities to post or link your blog on these sites. Select sites where your ideal customers would most likely visit or subscribe. Your web site - your blog should be anchored at your web site. One of the primary purposes of blogging is to generate visitors to your business web site, so creating your blog as part of your site is a practical location. This will bring visitors and also an SEO tuned blog will help to increase your search engine rankings for your web site. Emails - when you create an email newsletter or promotional emails be sure to include links to your blog. This will help readers to learn more about a particular product or service that your business provides and help to promote your business as an authoritative site for the industry. The content for your blogs should be lively and entertaining, but it should also be informative and educational. All blogs should have some form of a call to action to influence the reader's decision. Some calls to action might be to subscribe to an email list, or to provide feedback on a subject. Others may want the reader to inquire further on purchasing products or services. Where to blog can put you in front of your target audience. For more information please call us directly or click the button below and we will contact you. Thank you. 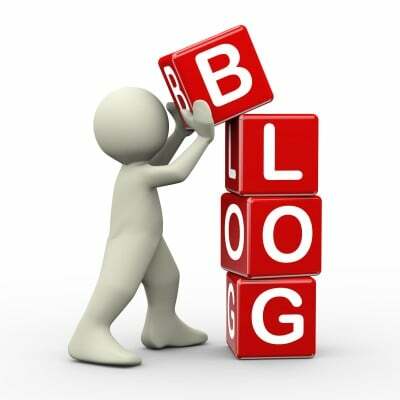 Writing a blog will help you to educate and inform potential customers and nurture your existing clients. But your target audience must know about your blog and read it in order for it to be effective. Getting the blog online is one step. The next step is to place the blog where it will be noticed. Understand your target market – your ideal client will visit specific web sites on a regular basis. Get to know your target audience and create a list of web sites, forums, community sites, social media and other online locations based on your audience preferences. Leverage links – once you have your blog posted to your business web site you can post links to your blog on other places. It is important that this practice is performed tastefully and not in a way where it would be perceived as spam. For example you can post on Twitter about your new product release and anyone interested can find out more by clicking a link to your blog. Use SEO – your blog should take full advantage of SEO techniques and also include some authority site links so that your online reputation will improve – plus the authority sites may reciprocate in kind. Consider PPC – pay per click, or PPC, can also help to direct traffic to your blog posts. There are numerous ways to utilize PPC, but you should have an experienced online marketing company help you in the process so that you will not incur unnecessary fees. Where to blog can be a roll of the dice, but with the right marketing partner you can increase traffic while growing your business. 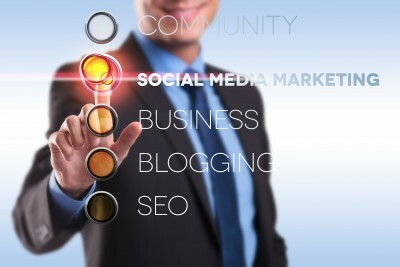 Seldon Marketing can help you to find the right places to blog. For more information please call us directly or click the button below and we will contact you. Thank you.